Kangemi Catholic Parish got the rare opportunity to host Pope Francis on his Kenyan tour as he presided over a historic mass in the popular slums at St.Joseph the Worker Catholic Church. But there is shame and disgrace after a man who is a member and is close to the priest came out to expose him of his sinful acts. 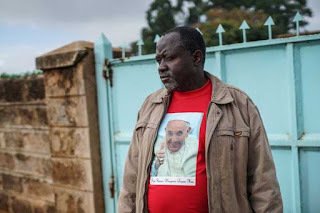 The man came with documented evidence in CD full of pictures and gave to the Nairobian, which showed the priest in compromising situations with ladies. Another young man from the Church is also accusing the priest of snatching his girlfriend and gave her a job with the church secretariat. “All those photos are meant to cause me problems but I do not fear. They hacked my dropbox. Yes, I am the on those photos and I know all these women" he told. 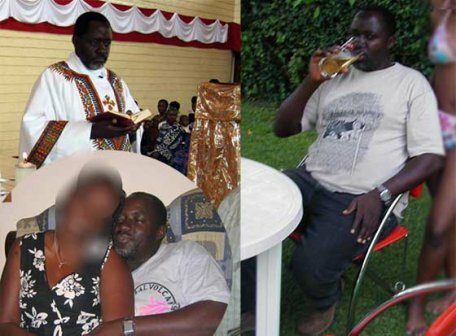 The members of the church who know him have repeatedly told how the priest is a serious womanizer but know how to hide it.